This post was scheduled yesterday, but as I had gone out to buy shoes with my brother, I couldn't post. I also was watching a very important Manchester City vs. Arsenal match. I have started keeping papers on my worktop for more than a month. I love this idea. Initially, I used to just keep the long-list, but now few other things are added to it. This is definitely a great idea as the papers are right in front of us, in case we need them, to jot down important things. I've kept the pile of papers towards the left of my table. I've kept stick notes, long list, papers (which are torn from 2014 agenda), index cards, and my home agenda in this pile! 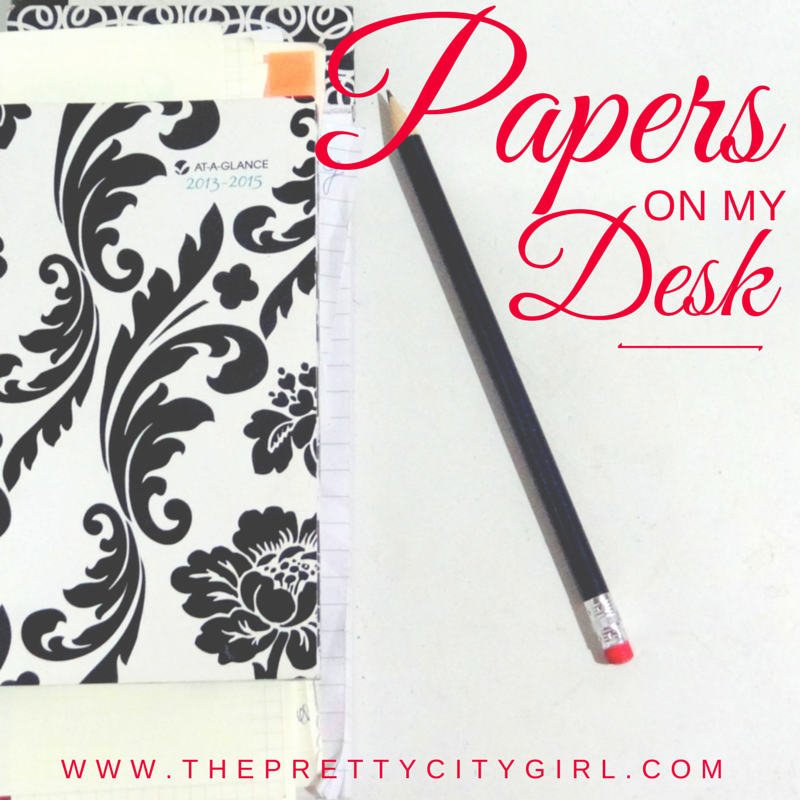 Do you keep papers on your desk?